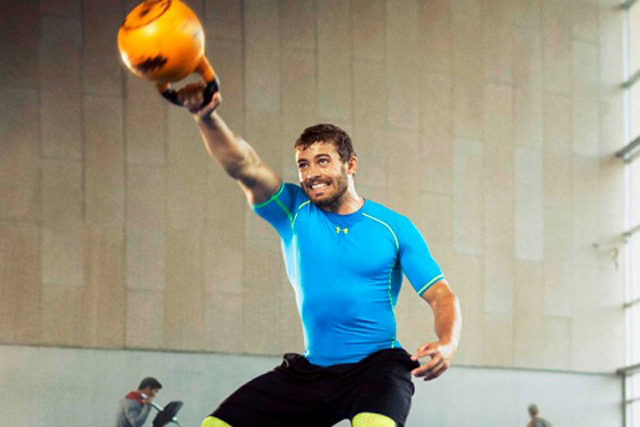 Under Armour has enlisted the help of professional athletes, including Welsh rugby union fullback Leigh Halfpenny, to launch a social media campaign challenging fitness enthusiasts to push themselves further. The performance-wear brand said it will also get involved in the conversations people are having online about fitness by "hijacking competitor social conversations in real-time", throwing in content such as videos and images of athletes challenging them to train harder. It will also encourage people to share their workouts using the hashtag #EarnYourArmour. The campaign kicks off on February 23 and runs until March 8. Mairead Van Gils, digital marketing manager EMEA at Under Armour, said: "Hijacking users of training apps such as Map My Fitness, Endomondo, and those of competitors, we will tap into workout conversations using live social content from the likes of Leigh Halfpenny – pushing past existing social boundaries and showing that we’re not afraid to stand out."